Numbers on chart axes and in labels can be formatted as percentages for most chart types. Tooltips use the same formatting as data labels. Dynamic charts are included in exports to PDF and HTML files. Dynamic charts offer a series of additional options for formatting. Right-click the chart element that you want to format. Select Format Data Series. A dialog is displayed, allowing you to select general options, options for labels, numbers and font. Click Ok. The changes are visible in the dynamic chart. Select Format Axis. A dialog is displayed, allowing you to select options for the scale, numbers and font. Unit formatting of chart series labels (thousands, millions, percentage) is not supported in XLSX exports. For axis labels, it is supported. For existing charts, the default title string =”” (which would be visible in the chart in an XLXS export) has to be removed in the chart properties dialog. All new dynamic charts will be created without this default title. Some Jedox chart types don’t exist in Excel and cannot be exported (not even as image). The default color palette that is used in new charts can be defined in Jedox Web Administration under Settings > Spreadsheet > Charts. You can change the value of the key called spreadsheet.charts.default_series_palette. Possible values are shoal, hydro, copa, office, apex, aspect, or chaplin representing the existing chart palettes. 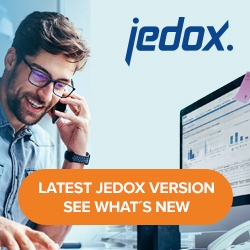 A change of the value will be applied in any new session in Jedox Web. Dynamic charts should not be crossed by Freeze Pane borders. Freeze Pane borders may cause various display errors. If a dynamic chart is inserted in a spreadsheet in an area with hidden columns or rows, the chart will change its dimensions after unhiding. This also affects the appearance of the charts after an export as PDF. Charts will not be moved dynamically in the spreadsheet if a row or column is hidden, or if the width/height of the rows or columns changes. Some charts, such as pie charts, calculate percentage values on their own, based on the distribution of values in the chart source range. Other charts, such as the standard column chart, do not calculate percentages. You can still set these charts to show labels formatted as percentage, but they will simply re-format the raw value from chart source range. For calculating the proportions of the raw values up to 100%, please use the 100% Stacked Chart types. The values between 0 and 1 are not automatically converted to percentages in Spark Pie charts anymore. If these values should be shown as percentages in the Spark Pie, they first need to be converted in the source (multiplied by 100).